Melissa has been a major contributor in defining Sungard AS' overall channel go-to-market (GTM) strategy and building the Sungard AS Partner Program. In 2008, Melissa was recruited to Sungard AS to create and launch a new partner program. She led the team responsible for designing the program framework, establishing partner pricing, launching a new partner portal, and implementing partner operations. The Sungard AS channel is now responsible for driving over 50% of new logos and a significant revenue contributor for the company. 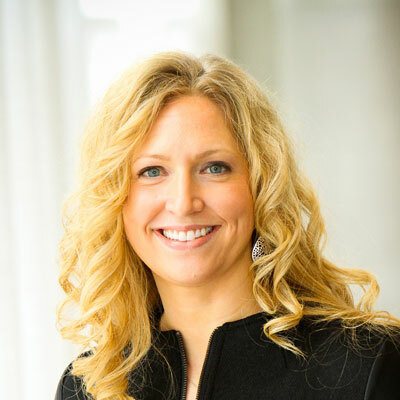 In Melissa's current role, she is responsible for leading GTM strategy with key partners/alliances as well as managing Sungard AS' Partner Program globally. Working cross-functionally with Product, Sales, and Marketing, her team builds and executes on joint GTM plans and programs to drive Sungard AS' cloud and recovery services portfolio with and through partners. Leveraging her 15 plus years of channel experience, Melissa is helping partners transition to selling cloud/as-a-service offerings or enhance their current cloud services portfolio. Prior to joining Sungard AS, Melissa worked for Lucent Technologies and Alcatel-Lucent where she served in a variety of partner management, channel program, and channel operations roles. This past year, I spent a significant amount of time developing and executing on joint GTM strategies with several of our key alliances/technology partners including Dell EMC, VMware and AT&T. Specifically, with Dell EMC we introduced new joint offers, created sales enablement materials, and launched integrated marketing campaigns in order to generate channel pipeline/revenue. Sungard AS was awarded Dell EMC's Global Alliance Industry Partner of the Year as well as Marketing Partner of the Year at Global Partner Summit in 2017. We also launched our new Partner Program "Never Stop Winning - Ask the Million Dollar Question" campaign to our partners to help identify new opportunities and position cloud services with their customers. The GTM campaigns as well as new partner messaging resulted in significant channel pipeline growth in 2017. One of our main goals for the channel business this year includes delivering new partner enablement materials focused on business outcomes. Partners can expect to see new sales toolkits around service offerings such as Hosted Private Cloud, Cloud Recovery for AWS, and Cybersecurity and will include battlecards, training videos, verticalized use cases, and marketing collateral. In addition, we are making it easier for partners to do business with us through the introduction of a re-designed partner portal for a better user experience overall as well as a new app allowing for easier lead registration/tracking directly from your mobile device. A friend of mine, relocated with her family to La Gonave a few years ago to do missionary work. La Gonave is an island 31 miles off the coast of Haiti with little to no modern day conveniences. Through her organization, she has dedicated herself to caring for the people on the island by providing access to education, health, agriculture, clean water, etc She and her family are such an inspiration to me in how they are sacrificing their creature comforts in order to help the people of La Gonave meet basic necessities and provide better opportunities for their families. Do not be afraid of taking risks and failing. You will learn to appreciate your failures and setbacks more as you get older and realize that is where you experience the most personal growth. I would love to be a graphic designer, specifically so I could create partner collateral and enablement materials from start to finish! 10% Happier by Dan Harris. It's a book about meditation and how it helped the Nightline/Good Morning America news anchor deal with stress. I firmly believe we all need to learn how to slow down our thoughts sometimes in order to recharge and increase focus.